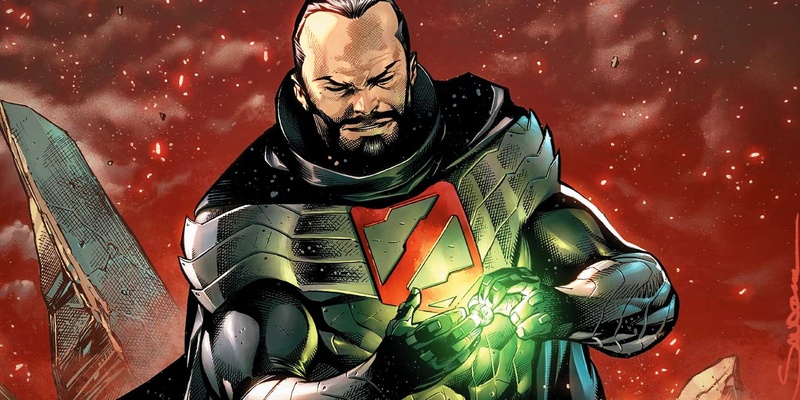 General Zod just became the most dangerous man in the DC Comics Universe - and the Green Lantern Corps helped. Recent DC Comics have teased that General Zod, one of Superman's greatest nemeses, is working on a terrifying plan. Hal Jordan & the Green Lantern Corps #41 has finally revealed the next stage in Zod's plan - as he prepares to age war on every world in the DC Universe. The rogue Kryptonian general has settled on the world of Jekuul, which he's officially named DC's New Krypton. It's the perfect world for a Kryptonian civilization, one that orbits not one but two yellow suns. That essentially means Zod, his wife and their son are gradually being supercharged by the star's energy. Their power of flight has convinced the locals that they're deities, and Zod has used their reverence to take the world's inhabitants as slaves. Needless to say, these actions drew the attention of the Green Lantern Corps, who attacked in force. Which was all a part of the plan. Ironically, Hal Jordan & the Green Lantern Corps #41 reveals that General Zod's war with the Green Lantern Corps was exactly what he wanted from the start: a chance to take possession of a Green Lantern Power Ring. Once acquiring it, he passed it on to the the DC Rebirth timeline's new Eradicator to study. After hostilities grew out of control, and gainst Hal Jordan's advice, the Green Lanterns are forced to leave Jekuul for now, and retrieve the Power Ring. But they don't know what's taken place behind the scenes. What they don't realize is what the Eradicator actually achieved in hi study: downloading 100% of the Power Ring's knowledge. "Population statistics for every inhabited world," Zod tells his family. "Weapons specifications and force assessments for every military. And a map of the entire universe." A master of the art of war, Zod knows that knowledge is power. He now knows everything that the Guardians of the Universe know about the cosmos. He has the plans for every known weapon in the universe. And he has a resource-rich world of slaves who can build them for him. As Zod's son notes, "Every successful battle begins not with the fist, but with the mind." This kind of knowledge, in the hands of General Zod, is a disaster waiting to happen - on a universal scale. As the Green Lantern Corps know all too well, Zod isn't the kind of man to sit back and relax, secure in his own strength. Instead, he's a tyrant who will delight in using this knowledge, to the detriment of the universe. With an uneasy peace declared between Zod and the Green Lanterns, John Stewart triples patrols in that area. Other than that, though, there's simply not a lot he can do right now. Appropriately enough, Zod's greatest challenge may still be Superman himself. The Man of Steel recently visited the future of Jekuul, and saw the planet's inhabitants enslaved. He's sworn to avert that future, but has no idea just how powerful Zod has now become. Hal Jordan & the Green Lantern Corps #41 is available now from DC Comics.